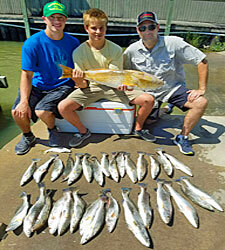 Welcome to our Galveston Fishing Reports or Galveston Bay Fishing Reports page. I will post updated fishing reports, pictures and even some videos. I will try to post at least one to two fishing reports per month on this page for those of you that enjoy an honest report. I will post some pictures from some recent trips with some of our customers. I will also post some video of some trips and mix in a how to or instructional video from time to time. If you want reports from a variety of Captains that I network with, you can check out our Facebook Page. 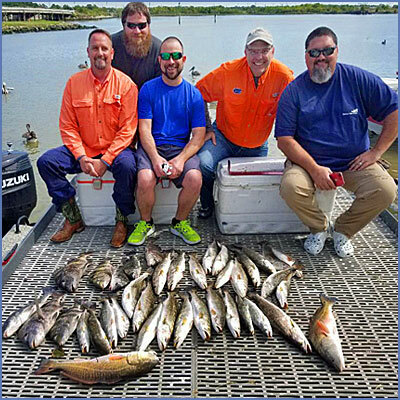 Our Facebook page consist of many fishing guides that post fishing reports & pictures from trips throughout the Galveston Bay Complex. 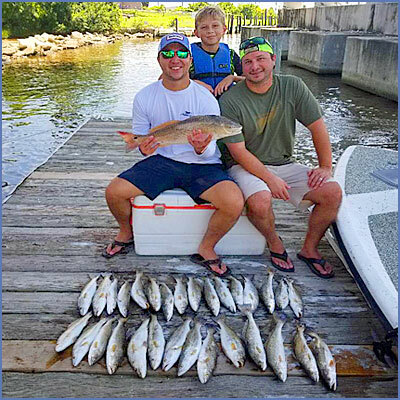 We will give up to date fishing reports on the speckled trout, redfish, flounder and other seasonal action. Hope you enjoy all the fishing reports, pictures & discussions and return soon. "Thanks Capt. Alan." March has arrived and spring break is here. Fishing was really excellent for a few days this week, but now of all things we are dealing with fog. Fog is not something that we have to deal with much this time of the year. It makes it hard to move around and it keeps the water from warming up. 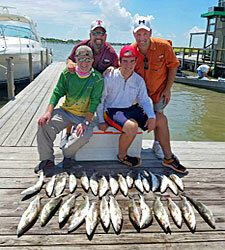 We are still catching some fish, but not nearly as many as a couple of days ago. I can remember when spring break was warm & sunny, now each year seems to be different. 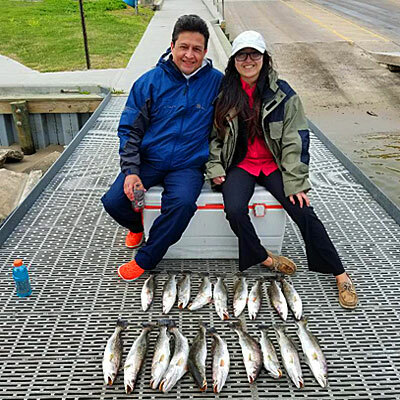 I know that the trout were starting to show up better in West bay and in lower Galveston, but with all the changes in weather they are probably moving around now. Trout are a very seasonal moving species and they rely on the weather to dictate where they are moving to next. So once the weather patterns get to be a little more consistent, we should be able to stay on those schools of specks more & more consistently. You just have to use your experience and knowledge to find the fish and stay on them. Live shrimp is still my bait of choice. I will be trying some new area on some upcoming trips, so I will keep you informed. Until next time, see you on the water. Well it has been another interesting winter. Fishing is always a little tougher this time of the year. Again the weather is the main culprit. 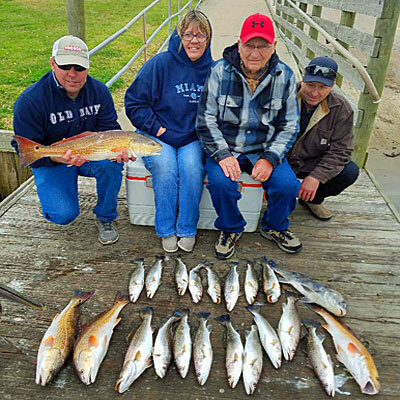 A lot of people think that the cold has a negative affect on the fishing and actually the cooler temps usually help the trout to get moving and feeding again. 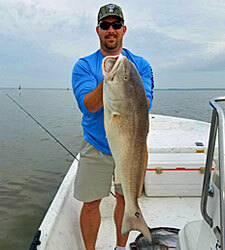 As long as we don't have a freeze, the cold weather is a positive for fishing. Now that being said cold and high winds are not good for fishing. I have been a guide full time guide for 18 years and the one thing that is the hardest element to overcome is a strong wind. Sure we can fish protected areas, but are the fish going to be in those areas. You just have to adjust the best you can and use your experience and knowledge to put yourself in the best position to catch fish. 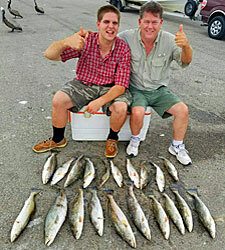 Speckled trout are very finicky, they are a species that you really have to understand to consistently catch them. All this being said, we have had some good to great trips lately, with some slow days mixed in. We are still using live shrimp under a cork, drifting and anchoring in some areas. Looking for nervous bait and clear water has been key to our success. Seems like they are feeding best with a moving tide. if you want to get out on a good day, please give me a call Until next time, see you on the water. So fishing has been in a typical fall pattern. With all the fronts starting to come in and the weather being cold for a couple of days, then warming up and then windy, it can be challenging at times. 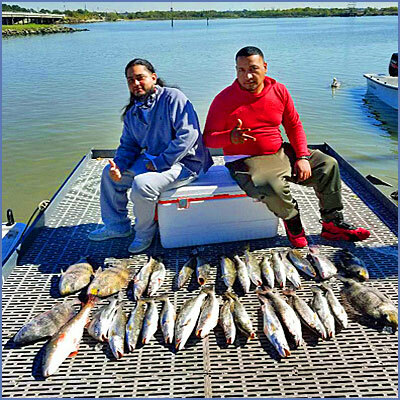 It can be frustrating to go out 2 days in a row and they seem to be jumping in the boat then you go out the next 2-3 days and the weather has changed and you have to grind it out to catch a nice box of fish. It is all part of being a fishing guide and trying to explain to anglers that it is fishing. As most of you that follow me know that my favorite saying is "Give me good weather and I will give you a good fishing trip." And that is especially true during the fall. 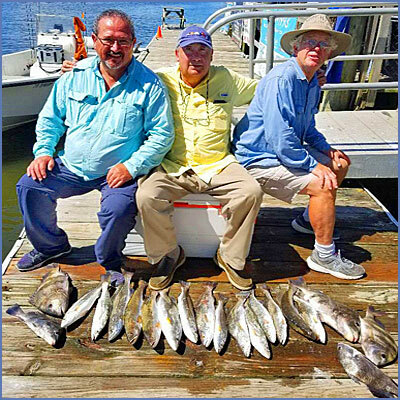 On the better weather days we have been catching some nice speckled trout, some red fish and a few drum and sheep head. Even on the not so good weather days we are catching some nice fish, it's just a bit harder. Moving around and trying to catch these fish feeding has been the key. Once you get on a good school that is feeding, stay on them and get serious. My customers are using live shrimp under a cork for best results. Some days you really have to pop that cork to attract the bites. fishing about 12-18 inches off the bottom has been the best method for us. Well until next time, I will see you on the water.